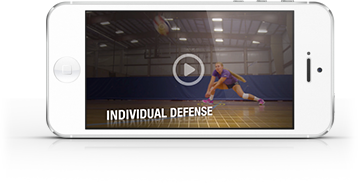 This hitter vs. hitter drill demonstrated by Austin Juniors volleyball club in Texas requires players to figure out ways to get the ball down multiple times vs. a two-person block and a four-player backcourt defense. It’s a tough challenge, so hitters have to work on being deceptive, mixing shots and hits and sometimes looking away from where they’re hitting. This drill is competitive, pitting one hitter against another. The first player to get three kills in a row wins. One of the good messages in this video: Don’t tip for the win!